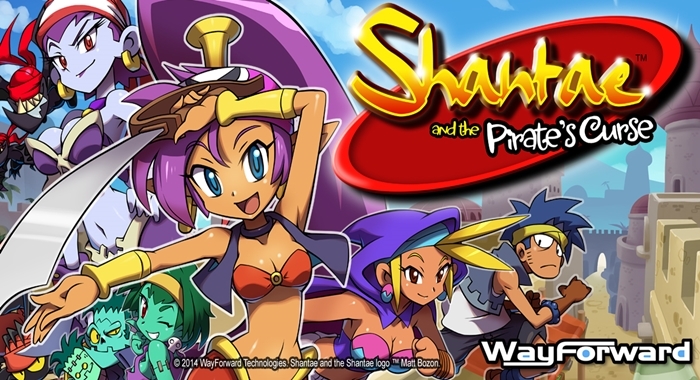 With the likes of GameFly and Amazon leaking news of a retail version of Shantae and the Pirate’s Curse for the 3DS, to release in both Europe and North America next month, you could argue the leaks have forced Rising Star Games’ hand, as they have now come out to announce the game is in fact on its way and gave us some new details. The game in which sees the long, winsome, purple-haired, powerless half-genie team up with the dreaded Risky Boots and equip herself with some very special pirate items, will feature some new content by WayForward. The “content” is entitled Super Shantae Nab, an arcade-style game, but there pretty much ends the explanation for the new content. However although vague there, Rising Star Games have provided a more accurate release schedule as those in Europe will not actually be able to get their hands on the game until the 30th of September, while those in North America will be able to get it 3 days sooner. Going by the source article, pricing for the game appears to be have the same set price, so whether you’re in the UK, the rest of Europe or North America, 29.99 is the magic number. As someone who has played this game and really got into the series because of it, if you haven’t had the chance to try the game yet, I realise it may be a little steep, especially since you should be able to clear it 100% within 10 hours of playing it, you’re paying not just for the game, but to have a cartridge and a game box that can actually sit on your shelf. However should you require a little more convincing than that, you are feel to check out some of the reviews for the game, one of which you can find by clicking here, or click here to read our interview with Matt Bozon, co-creator of Shantae, as we talk about the series and the upcoming game, which will release on September 27th (same day as Pirate’s Curse for North America.) The choice is yours.